Glass bottle manufacturer O-I along with leading cork producer Amorim were faced with a challenge. Growing consumer need for easy to open and on-the-go consumption is being driven by an ageing population and a more active lifestyle among younger generations, both with new consumption occasions. Following four years of research and development, enter HELIX, a ‘twist to open’ concept that combines an ergonomically-designed stopper made from cork and a glass bottle with an internal thread finish in the neck, creating a high performing and sophisticated wine packaging solution. 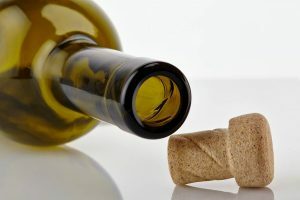 The unexpected twist of HELIX enables the bottle to be opened easily without a corkscrew but without losing the emotion of classical wine represented by cork. O-I’s innovative HELIX glass and cork concept has now been adopted by over 20 wines and continues to gather new brand converts across Europe. One of the most recent adoptees, and the first in France, is Folie d’Oc, a rosé wine from the Domaine Guizard winery in Languedoc. Fabrice Damignani, wine manager for O-I in France says, “It is the combination of practicality, convenience and respecting the fundamentals of wine – cork and glass – which makes HELIX such a winner. O-I is a true innovator in the wine segment and the best partner for European vintners”. It has been recognised by peers throughout the industry and has already received eight awards for design and packaging including The Drinks Business Green Award 2015, Oscar dell’Imballaggio 2014, Oscar D’Emballage 2013 and the Grand Prix de l’innovation, Dionysud.